Ashtanga Remix brings a fresh approach to an ancient practice. 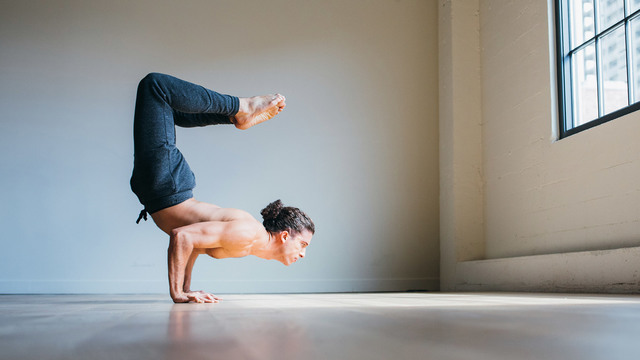 Link breath and movement as you build a foundation that empowers you to explore your limits. This physically demanding practice challenges you to create a practice that balances discipline and creativity. This program starts off with two 15 minute tutorial classes designed to strengthen essential skills needed for an Ashtanga-inspired practice. In these classes we will focus on Pranayama and sun salutations, in order to give you a complete base for the flow classes to come. Following these tutorials are four 45 minute full body flows, each more powerful than the last, bringing together the fluidity of Vinyasa and the grounding practice of Ashtanga. Prepare to sweat and move your body through challenging sets of standing and seated postures. Push past what feels familiar to improve balance and stability in your practice. Find grace in rhythm and connect your body to an invigorating free flow of balance and strength. This is an 11-minute preview of Jonah's "Ashtanga Remix" series.